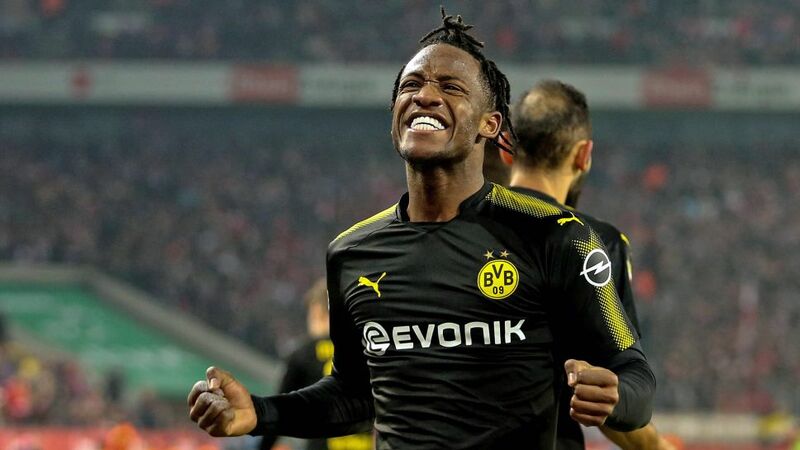 Deadline Day signing Michy Batshuayi made a dream start to life at Borussia Dortmund by scoring twice on his competitive debut for the club against Cologne. The Belgium international, who joined on loan from English champions Chelsea, was given the nod from the start by coach Peter Stöger just two days after arriving in Dortmund, and immediately repaid his new coach’s faith by scoring the opening goal at the RheinEnergieSTADION. The 24-year-old began well in the game and looked comfrotable in Dormtund's attacking system, despite only one full day of training before Friday night. And it wasn't long before he had his first of the night, as the striker pulled off into space inside the Cologne box to smash home from left-back Jeremy Toljan’s cut-back after 35 minutes. It was the 500th goal to be scored this Bundesliga campaign. Batshuayi thought he had a second goal before half-time, but it was eventually correctly ruled out for offside by the video assistant. The second did follow in the second half for the Belgian when he latched onto Christian Pulisic's through-ball to slot home under Timo Horn and restore Dortmund's lead which provided him with his first chance to celebrate in front of his club's fans in the away end. The Belgian almost completed his hat-trick but was thwarted by Horn. But Batshuayi had the last laugh as he rounded off a perfect debut in black and yellow. He played in Andre Schürrle to fire home the winner for Stöger's side with a little under 10 minutes left on the clock. Watch: Batshuayi: "Everything is perfect"
"I am very, very happy to be here," Batshuayi said after Dortmund's 3-2 win. "I love Borussia Dortmund. Black and yellow are my favourite colours, because I love Batman and Spongebob Squarepants. "I'm very happy to score but the most important thing is the victory. I want to give my all to go up in the league, reach the Champions League and keep winning games." Relive all the action from Dortmund's victory in Cologne here!